It seems that all year long we wait for summer to come around and before we know it, it’s here. 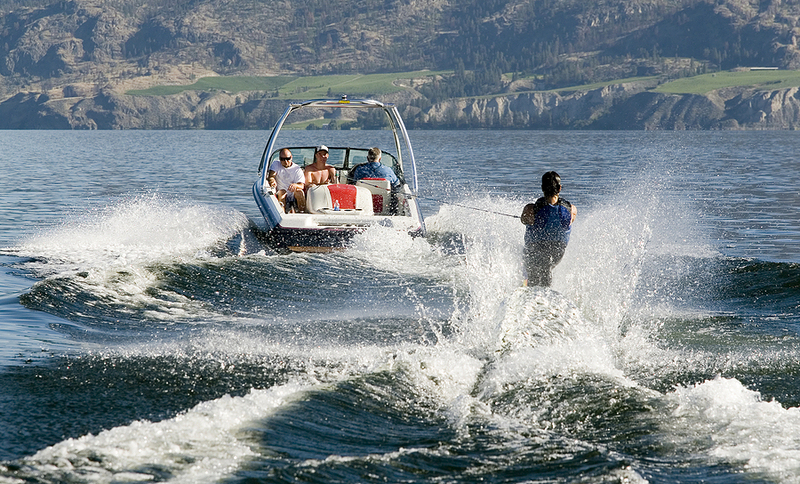 When summer does finally arrive, we tend to spend more time outdoors, participating in a wide variety of sports and other activities under the sun: Think biking, boating, water skiing, skateboarding, swimming and summer camp for the kids as just a few of the summer activities that may be on the menu. However, failure to take safety precautions into account for certain activities can be a recipe for disaster. Case in point: I treat significantly more dental injuries to both kids and adults during the summer months. The good news is that the majority of these injuries are preventable. To get the most out of your summer, let’s take a look at some of the more common summer related dental injuries and what you can do to avoid them. Whether in a lake, a pool, or even running through a backyard sprinkler, it’s not uncommon to chip or fracture a tooth, particularly a front tooth. A custom made mouth guard (made in the dental office) can prevent dental trauma. I emphasize custom because they are more effective than a store bought mouth guard for the simple reason that it fits better. Mouth guards are very easy to make at the dental office and are more affordable than you think. Any injury to the mouth can result in different degrees of trauma to the teeth. The best case scenario, if you’re lucky, is when most of the trauma is absorbed by the soft tissues. It may result in a swollen or split lip, but spare your teeth. However, more often than not there is chipping of the teeth, which can range from a small chip to exposure of the nerve and the need for a root canal. It’s even possible to have a tooth come out or ‘avulsed’. Read more about children and common dental injuries. The summer is a time when kids are eating more popsicles, ice cream, chocolate and even delicacies like cotton candy. If this is the case, it’s a good time to practice and improve one’s oral hygiene. If these ‘sugars’ just sit around the teeth for long periods of time, decay will most likely result. You may want to consider chewing gum with xylitol in it, as this is a substance which helps to fight tooth decay. Don’t fret, have fun and enjoy your summer…but consider protecting your child – and yourself – when participating in the above mentioned activities with a form fitting mouth guard, protective eyewear and, where necessary, a helmet. After all, an ounce of prevention is worth a pound of cure. Practicing dentistry for over 24 years, Dr. Robert Axelrad is a Brampton dentist who owns and manages his own dental practice in Brampton, Ontario. Affectionately known as ‘The Gentle Dentist‘, his patients include children, adults and seniors. Dr. Axelrad recently moved his practice to its current, state-of-the-art dental office at Bestgate Professional Center in in 2002 to accommodate his growing list of happy patients.